These mistakes are easy to make, but the good news is they are also relatively easy to fix. Conducting business online requires a comprehensive knowledge of eCommerce website design and marketing tactics. Unfortunately, many companies are still confused about the best ways to utilize eCommerce tools to bring in customers. These five common mistakes hurt site performance and drive visitors away but are easy to fix to increase sales and improve the customer experience. All business websites should have the name, address and phone number (NAP) of the company prominently displayed on every page along with a call to action. An email address or contact form for web-based queries should also be provided. This makes it easy for customers to connect with companies when they have questions or want to schedule services. It’s also useful for SEO since Google indexes addresses and uses them to display business locations in local search results. Fixing this problem is as simple as placing contact information in the most visible spot on the site. Professional web developers have experience in maximizing conversions from this type of information and can help with any necessary redesign. Search options on eCommerce sites need not only to be visible but also simple. When a customer enters a query, it should return the most relevant results possible and offer options to sort by factors such as price. If it takes more than one search to find what they want, customers will go elsewhere. 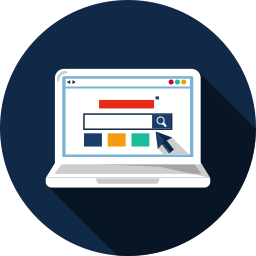 Comprehensive, well-functioning search features can be custom-built to handle the complexities of modern queries including matching complete phrases and dealing with spoken searches. Product pages on an eCommerce site should give as much information as a customer would get by shopping in a physical store. Using “stock” descriptions from manufacturers creates pages with poor quality content that both customers and search engines will pass by. Developing a robust product catalog with original descriptions is essential to improving customer retention and driving sales. This may require a custom infrastructure to ensure successful implementation. Mobile shoppers now make up a big percentage of the customer base for most businesses. A site that doesn’t scale well to smaller screens and doesn’t offer navigation tailored to taps and swipes will lose out on a growing number of sales over time. Creating a separate mobile site or adapting a responsive design helps capture the mobile market. Companies that expect a large amount of mobile customers may wish to work with a professional service to design a custom app that delivers a quick, easy shopping experience. Social platforms can be great tools for increasing conversions, but companies need to know which sites their customers are using in order to draw them in. Launching campaigns that speak to the users on these sites requires a personable “voice” and the ability to offer an engaging experience. To gain and retain followers, a business needs to develop a comprehensive multi-channel plan that delivers fresh content on a regular basis. 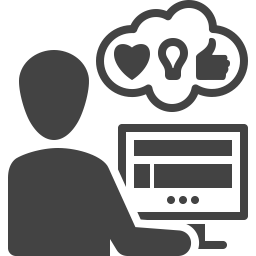 Professional social media management tools that include a way to sort through the big data generated by social analytics make it easier to track the success of these campaigns. With business intelligence tools from Clarity, you can streamline your eCommerce website to deliver what customers want with the speed and ease they expect. We offer site design and development services, comprehensive eCommerce platform construction, help with SEO and a host of custom applications that take your site from slow to successful. 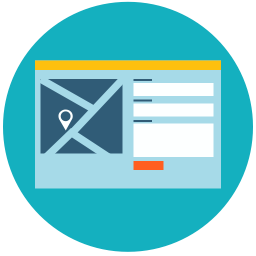 Contact Clarity today for a free quote and start managing your site like a pro.